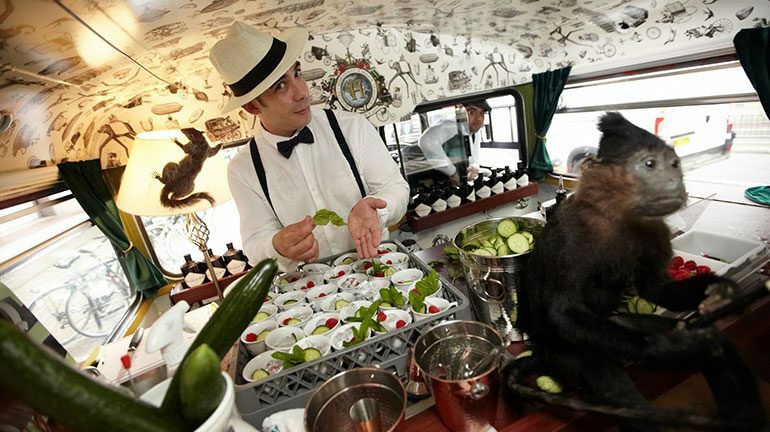 Introduce new customers to the wonderful world of Hendricks. Remain true to its “delightfully peculiar” & intimate positioning. People have to deal with the mundane & the ordinary on a daily basis – particularly during the drudge of the commute. If we could put the “extra” in to the “ordinary” – we could make a lot of people, a lot happier & create a truly Hendricks experience. Put moments of delight in to otherwise dull daily journeys. Create our own very own Hendricks “Ministry for Marginally Superior Transport”: real-time transport interventions, tantalising travel etiquette guides & a vintage roaming vehicle, cunningly disguised as a giant cucumber! Fantastic journeys were enjoyed by the masses. Myriad mentions of “love” & “awe”, flooded the social sphere. Engagement & VTR’s were x3 higher than industry benchmarks. Over 28m opportunities for people to gain insight into Hendrick’s world of whimsy & wonder!